All buildings are in : step 2/5 is complete! 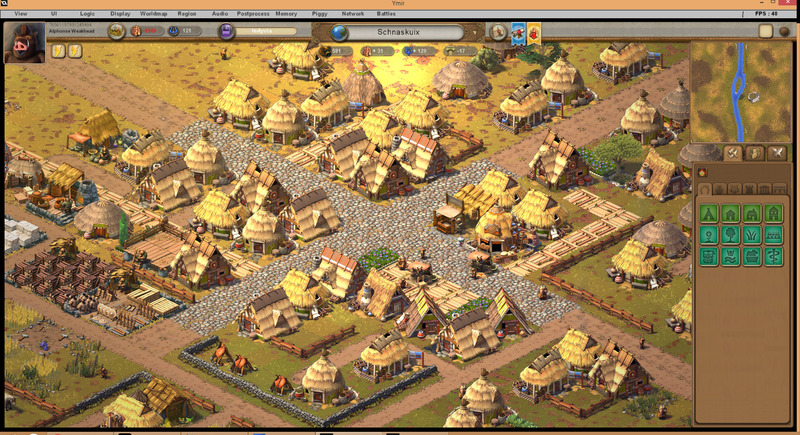 All the buildings for the planned release version are now ingame. All their new functionalities are also implemented , including a new kind of resources : services. Each service building mostly produces its own service resource, so for example a Tavern will produce a Tavern service. Some services are consumed directly by the population to satisfy their needs, like the services of Taverns or Theaters that satisfy the social or entertainment need. Some other services are also consumed by population but have other effects : doctors, washhouses or public baths will for example improve health of the population accessing it. – Builders produce a construction service now required to build most things. – Docks produce a cargo service, which will be used to operate trade routes. – Markets produce a trading service, which will be used to create ‘inter-city’ trade offers. – Scribes produce an administrative service that increases administration of the city. – Schools produce a service that increases intelligence of the population accessing it. – Magistrates produce a justice service that reduces conflict in the population. – Tax collectors produce a service that reduces waste ( a % of incomes lost, increased by population and bad administration ). I added a new need in the pyramid of needs of population: the social need, of priority 2 (meaning it comes after vital needs of water and food). 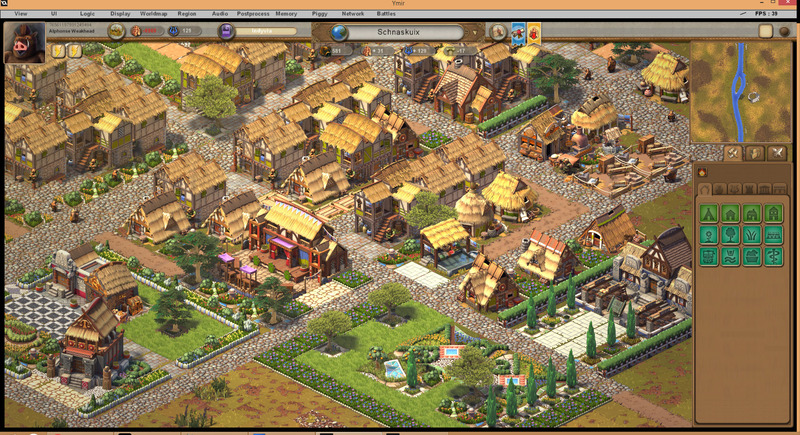 For now, its satisfied only by Taverns and Forums ( a kind of plaza you can build in your town center where people gather ). Water has been added. Its now required as a vital need. You can produce it with wells or with water collection points placed on the shore of rivers. Water is also used by various industries or buildings like the public baths or bakeries. The building production UI has been redesigned and completed with additionnal informations. It is now possible to choose a specific material to use for a production ( when more than one is available ), or to leave it in automatic mode. The UI now also shows the budget of the building itself, allowing you to see how much taxes this building is generating, how its production is used and sold, or how much each one of its workers earn. 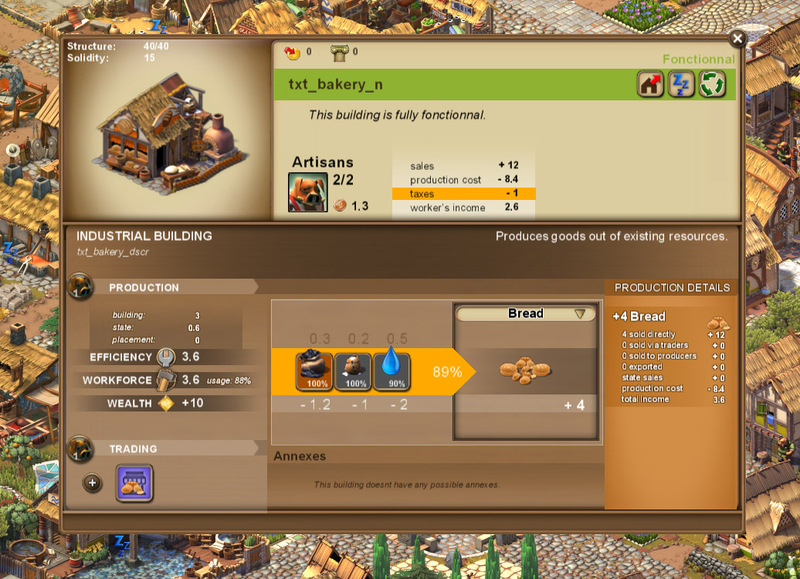 The new production UI: here a bakery requires a combustible ( wood, charcoal or coke ), flour and water to produce bread. The building’s budget shows where this building’s income is coming from and how it is used. Here the building generates 1 of taxes, and 2.6 income shared between the 2 workers. 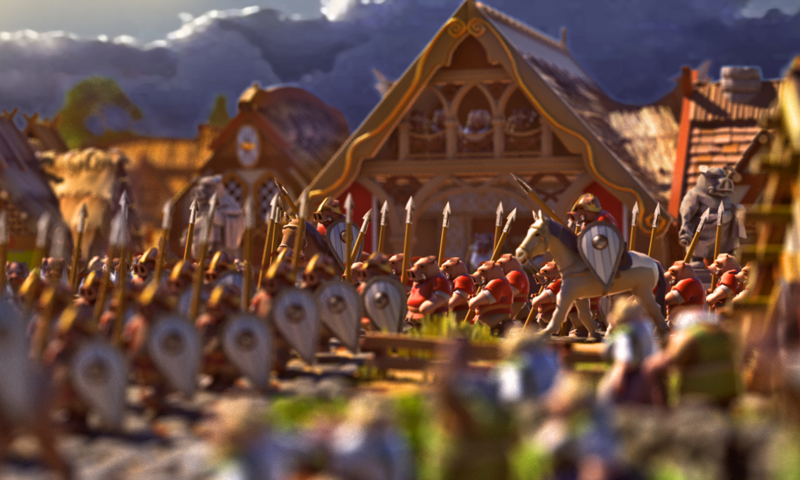 I added a new kind of annex : the efficiency annex. These annexes increase the efficiency of the building they belong to. 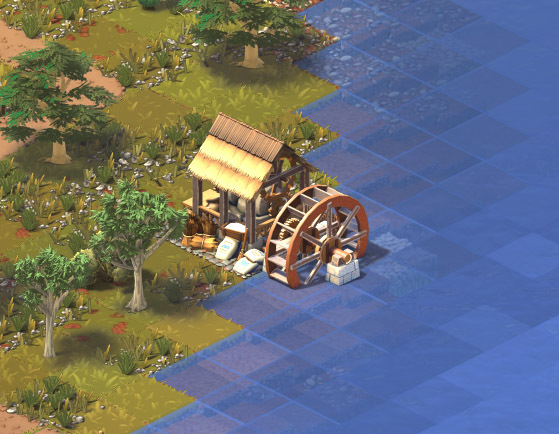 For now, this type of annex is used for waterwheels and windwheels, which are used for example by flour mills. The game now has its definitive look, and i’m moving to the next step! 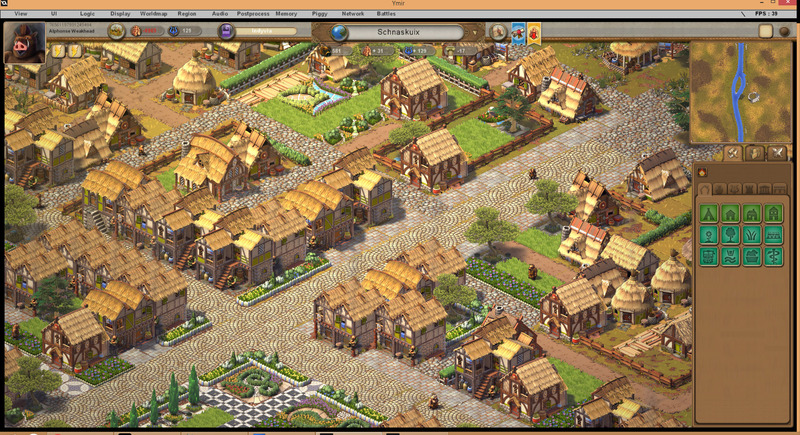 A late game city with ‘classical age’ buildings, including the new multi-story houses. 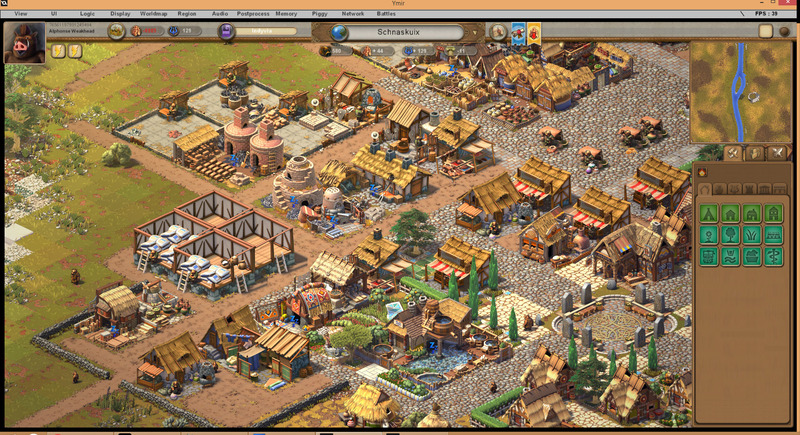 An industrial district with furniture makers, carpet makers, weavers, paper mill, brickworks, weapon makers, fundry, steel maker… There’s also a forum plaza with a tavern, a bakery and a public bath. A lot of cosmetic tools have been added : different kinds of gardens, lawn, flower beds, plazas of mosaic and marble, roads, fences… You can use all these tools to design your parks and gardens around important buildings or fancy houses.